Do you have a business? Or an Etsy store? Looking for a way to meet new customers? Sign up to be a vendor at our Holiday Pop-Up on December 15 in partnership with the City of Grand Prairie (@downtowngptx) from 9a-1p. 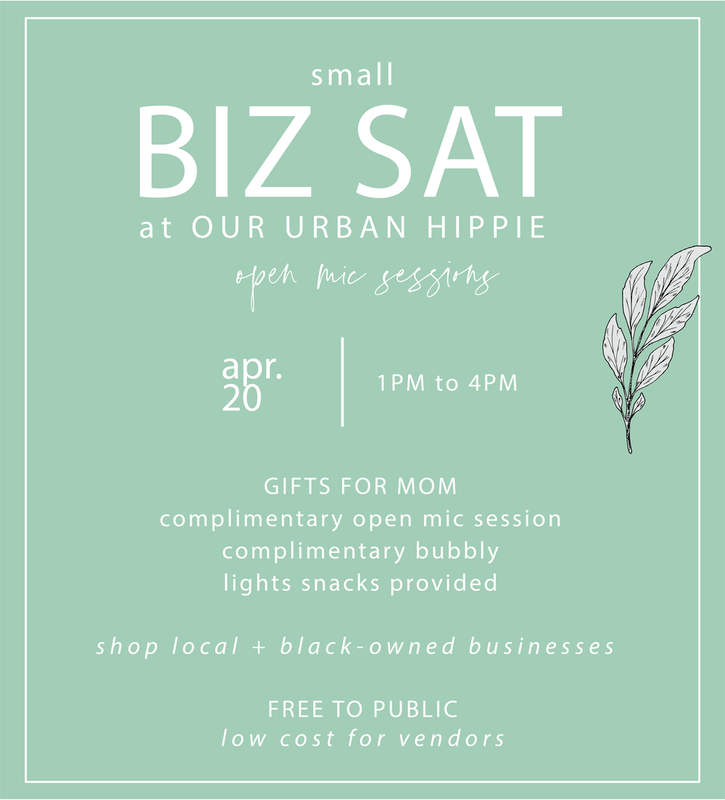 Shoppers get ready to sip and shop on Main street with dope vendors and artisans! 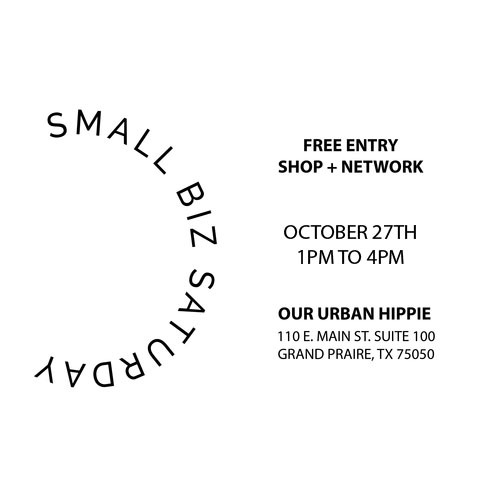 Open to all small business owners in the Dallas Fort-Worth Metroplex. 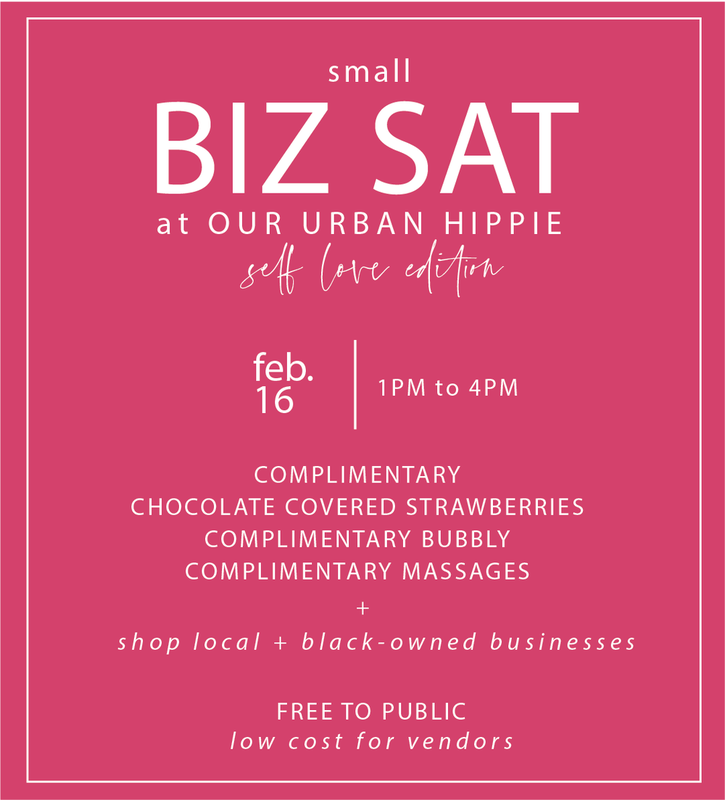 Open to 6 to 8 businesses. Registration includes tables and chairs. Mini Affirmation Summit Sessions for folks on the Go. 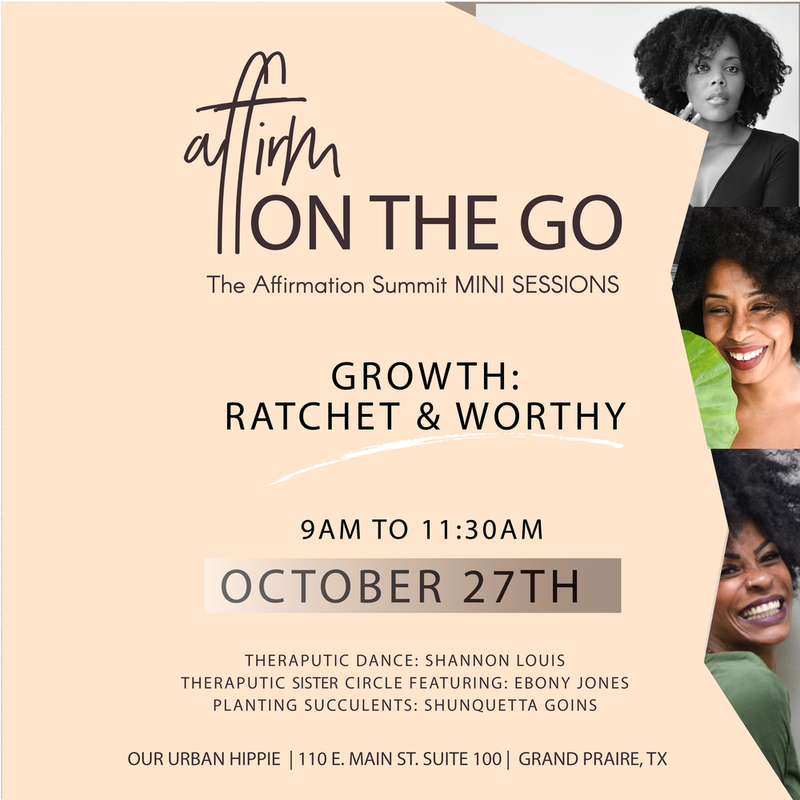 Join us on October 27th from 9:00am to 11:30am for our [Growth : Ratchet + Worthy] workshop. Workshop themes will cover making the unsweet parts of you work in your favor, deciphering GROWTH areas & having a trading ashes for beauty mindset. Therapeutic Sister Circle w/ Ebony Jones @EJluvJones who will affirm + speak into your life. Therapeutic Dance w/ Shannon Louis @EssenceOfMotion who will help you heal + grow through movement. All ticket holders will receive the Ratchet + Worthy Affirmation Workbook by @HoneyBeNaturalMag, a succulent and tools to own your Ratchet and accept your worthiness. Only open to 20 guests.